This photograph was taken at 2AM on Disko Bay in Greenland. 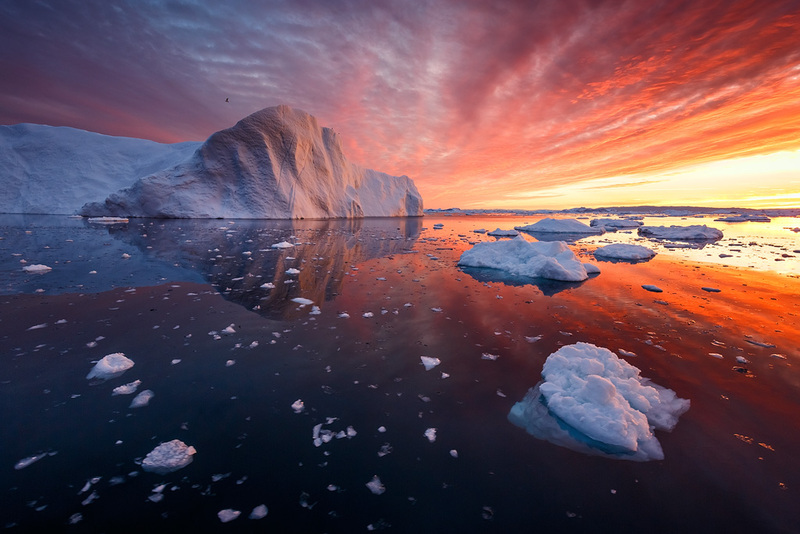 I had been sailing for several hours between immense icebergs, and the clouds were building in such a way that it was becoming clear that the sunrise was going to be something special. Upon approaching a patterned iceberg floating between smaller pieces of ice, the light struck it from the side in a way that accentuated its texture. The smaller ice pieces provided the foreground, and it all really came together wonderfully. The image won a gold medal on the 2015 Arctic Awards. Photo taken with a Canon 5D Mark III and Canon 16-35mm f/4L IS. Erez Marom is a professional nature photographer, photography guide and traveler based in Israel. You can follow Erez’s work on Instagram, Facebook and 500px, and subscribe to his mailing list for updates. Erez offers photo workshops worldwide. Study finds most people can't spot manipulated photos, can you?